for 30 minutes or less delivery to your door! 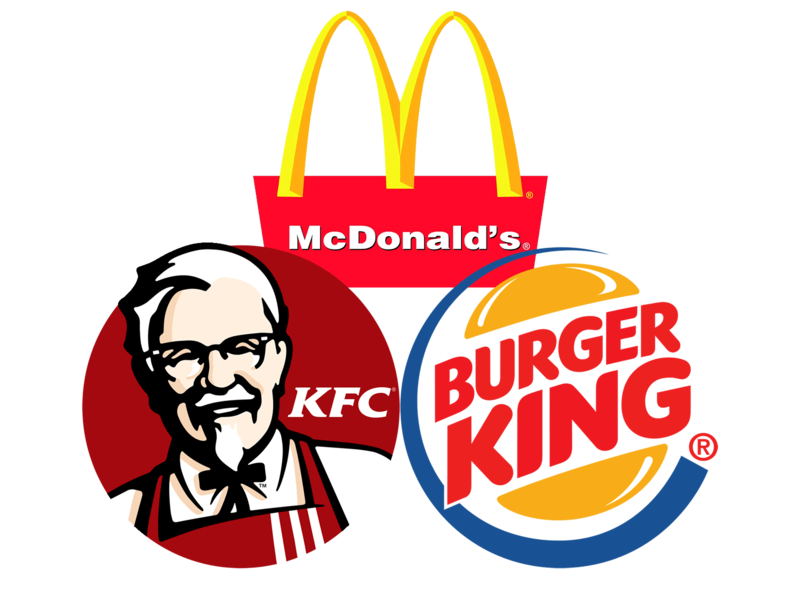 Mcdonalds, KFC, Burger King and More, Delivered to Your Door! 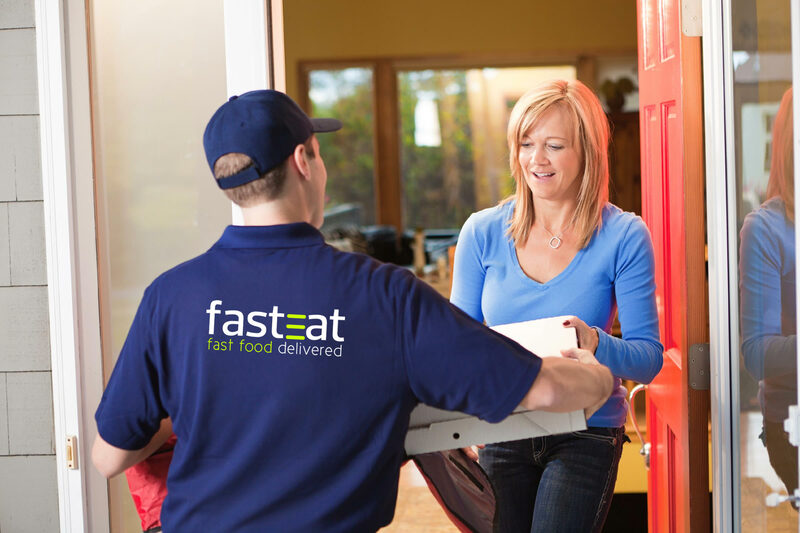 FastEat is the easy way to get the food you love delivered to your home or work, fast! FastEat has lots of your favourite restaurants to choose from. When you open the app, you can scroll through the feed for inspiration or search for a particular restaurant or cuisine. When you find something you like, tap to add it to your basket. When you’re ready to check out, you’ll see your address, an estimated delivery time and the price of the order including handling and delivery fees. When everything looks right, just tap place order – and that’s it. Once your order has been placed, its will be sent to the nearest available driver. You will be able to watch your order progress live on a map, from going to the restaurant to driving to your location. You will even be able to call the driver direct if you need to. What / Who is FastEat? FastEat is a new food delivery platform that makes getting great food from your favourite local chain restaurants as easy as a few button presses on our apps or wesbite. Now you can order McDonalds, Burger King , KFC and more, from your armchair for delivery within 30 minutes! If you would like service in your area just go HERE and complete the form and we will have a look to see whether your area is viable. 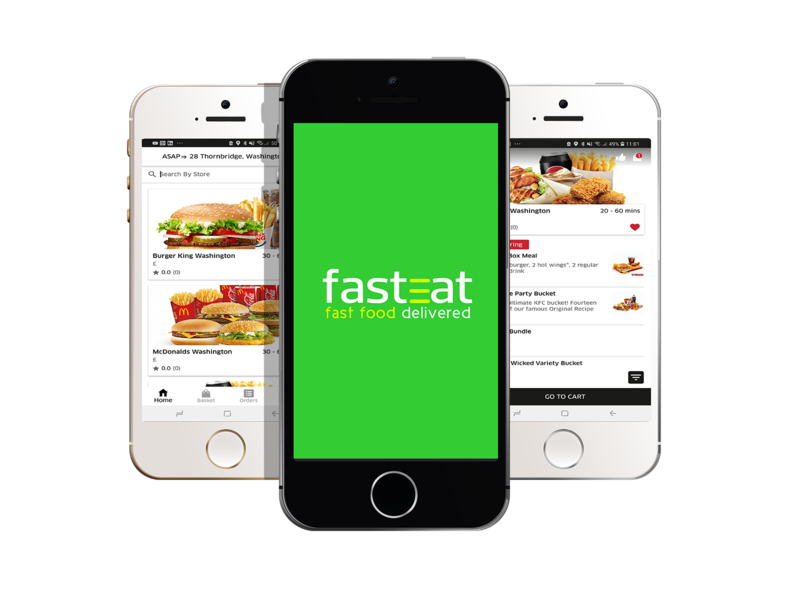 You can order by downloading the FastEat app, available on iOS and Android. Simply add your postcode to find all the great restaurants delivering in your area, choose your food and place your order. Once we receive your order, it will automatically be sent to your FastEat driver who will pick it up and deliver to you. Where / When is FastEat available? We are rolling out our service in many new areas. The best way to keep informed is by watching our Facebook page and we will post when we launch in a new area and pin it to a list at the top of the page. How do I start using FastEat? Download the app and add your delivery address. The app will automatically show you the nearest available restaurants to you. Choose from the full menu and place and pay for your order. Follow your drivers location in real time on a map as your order is picked up and delivered to you. For each order, you will pay for the cost of the food, a FastEat handling fee, and a delivery fee. You can pay via card with our super secure payment platform "Stripe". None of your card details are held with FastEat so you can rest easy that your information is 100% secure. We will soon be adding other payment options such as Google pay and Paypal as well. Will my driver bring the meal to my door or inside my office? Your driver will bring your order right to your door. If your address is difficult to get to, it may be faster and easier for everyone if you meet your delivery outside by the street. You can also include special delivery instructions before confirming your order. Once your food is on the way, you can contact your driver directly by tapping CONTACT on the order-tracking screen. This is often the best way to coordinate an exact dropoff spot if you aren't sure where it will be. Keep in mind that they may be driving. For safety, they may not be available to answer the phone or write a message. My friend pays less delivery fees than me? Our delivery fees are based on distance from the restaurant. If our driver has more distance to travel then the fees increase. Our standard delivery fees are: £2.99 up to 1.5 miles £3.99 between 1.5 and 2.5 miles £4.99 between 2.5 and 3.5 miles £5.99 between 3.5 and 4.5 miles £6.99 between 4.5 and 6.5 miles We currently dont deliver further than 8 miles from any restaurant. Do I need to register before I can place an order? How is the estimated time of delivery calculated? The time estimate you see combines how much time it typically takes the driver to accept an average order, drive to the restaurant, pick up your food and deliver to your address. Please note that this is our best estimate. Actual delivery times may fluctuate depending on how busy the restaurant is, how large your order is, traffic conditions, and other factors. We are here to help. Once you have placed an order, just contact our support team from within the app or by our chat icon below right of this screen, and we will do our very best to take care of your issue. For most meals that you order through FastEat, you will be able to add special instructions at the checkout to let our drivers know about any modifications you may need when they are picking up your order. After you place an order, you can cancel your order any time after submitting the order but BEFORE the driver has picked up your order from the restaurant. To do so, tap "Cancel Order" in the order-tracking screen. Your payment will automatically be returned to your bank immediately. After the driver has collected your food, it is no longer possible to cancel the order and we will be unable to issue a refund. Once you place your order, we only take a temporary payment off your card. These are a short term guarantee, sometimes taken by: Car hire companies Hotels Petrol stations, when you pay at pump With this "pre-authorisation" method, money isn’t taken from your account until we complete the delivery to you. If for whatever reason we cant complete the delivery, the pre-authorisation will automatically cancel and release the funds back to your account credit. Can I order from multiple restaurants in the same order? FastEat is a premium service in that we only carry one customer order at a time. This is the only way for your food to arrive to you in the quickest and best quality condition. Because of this, you cannot order from multiple restaurants in the same order. Your stomach will thank you ! Tips are not included and they are not expected or required. Its up to you though and our drivers receive 100% of the tips. You can also rate your FastEat ordering experience each time you order through your customer app. Why doesn't FastEat accept cash? We only take card payments because it lets us provide you with the easiest possible ordering experience. It creates a safer working environment for our drivers too. The minimum order value can vary depending on which restaurant you’re ordering from, and you’ll be informed at checkout before you place your order. What happens if an item that I've ordered isn't available? Sometimes restaurants change their menus and as much as we try to keep on top of each one, we occasionally have listed items that aren't available. we instruct our drivers to get the nearest possible alternative as we would prefer to get you as close to what you wanted rather than none at all. Sometimes things outside of a drivers control can cause a delay. These are usually things like, large queues at the restaurant, traffic, or backed up orders. Where we can, we will always try and proactively call you if we become aware that your order might not arrive within the estimated time of delivery. Our drivers will work hard to get your order to you as quickly as possible. We always suggest you keep an eye on the driver tracking facility and our estimated delivery times through the customer app. What if I’m not around when my driver arrives? If you think you won’t be at the delivery address in time to receive your order, please let our driver know by using the call driver function in the FastEat app. Your driver will always try to call you if there’s an issue once they reach your delivery address. If they’re unable to contact you, our Customer Service team will try and reach you via phone and email. Please check your emails during the delivery time for any updates. If we can’t contact you and are unable to deliver the order, your rider will wait for up to 10 minutes before leaving. In this event, you’ll still be charged for your order. To prevent this from happening, it’s always a good idea to double-check your mobile and address details. We are rapidly expanding and will hopefully be working with restaurants near you soon! Click HERE to request that we add a new area. Do you have any driving jobs? We are always on the lookout for good reliable self-employed delivery drivers, click HERE to visit our drivers site.